Each day we trawl through the days games and pick out some football accumulator tips, unless there is literally no football on. No football accumulator tips today – check back tomorrow! The main markets we include on our football accumulators are as follows..
How to pick out good football accumulator tips..
Hope you’re ready for this. I’m going to share my “magic formula”. Sadly such a formula doesn’t exist. However what I can share with you are my top resources for finding solid selections for your football acca. The best site for this (or at least my favourite at the time of writing this) is Soccerstats. I used to use Soccerway but they have so many adverts that using the site is painstakingly slow. Soccerstats is in my opinion a much better site for getting all your stats on Form, Goals, Bookings. My next go to resource is a lesser well known site called Total Corner. It’s an immense place to find corner stats. Betting on corners might sound a little unfamiliar but it’s a cracking niche market to focus on and you can find some great value if you study the league/team averages for just a couple of minutes. The MASSIVE Disadvantage Of Accumulator Bets..
Bookmakers love punters who place accumulators. Because more often than not they lose. That’s why you see so many offers pushing us to place more accumulators. The reason bookmakers love accumulators is because the odds are stacked firmly in their favour. Well, bookmakers make their money by something called an over-round or margin. With a win single the margin for a bookmaker on a football match might be anywhere between 3% and 10%. With an accumulator the margin is compounded so in effect we could be betting on 5 teams to win at 30/1 when the true chances of it landing are 50/1. Treat accumulators as a bit of fun. Enjoy the chance to win big from a small stake. 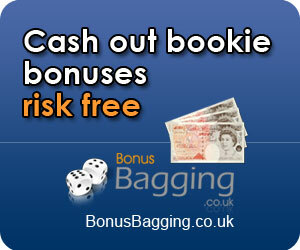 But be aware that they are NOT you best chance of winning or making regular profits from your betting. If that’s what you’re looking for then you’ll need to use other techniques. This is another section on this blog. It’s super biased I know but consider this..
Stay up to date with how your Football Accumulator Tips are doing..
Best way to do that is livescore. I’m sure you’ve heard of it, unless of course you’ve been living under a rock for the last few years!